Google has released an entirely Web-based version of its service that works on the iPhone as well as Palm’s Pre and Pixi handsets. Apple may still officially be “pondering” whether it should approve Google’s Google Voice app for iPhone, but there’s finally good news: Google has released an entirely Web-based version of the service (at m .google.com/voice). It works on the iPhone as well as Palm’s Pre and Pixi handsets, and brings a large chunk of the functionality of the native Voice apps for Android and BlackBerry to your phone’s browser. This new version, like mobile Gmail, is among the most app-like browser services I’ve ever seen, period, letting you dial from your Google contacts list or a keypad, read and listen to messages, send text messages, and configure the app right within mobile Safari. When you make calls using it, the person who answers sees your Google Voice number, not the “real” one associated with your phone: Google makes an outgoing call from the iPhone, then reroutes it over a line of its own. 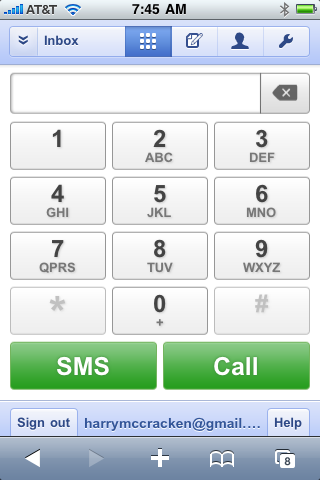 There’s only so far that a Web-based telephony app can go. On Android and BlackBerry, Google Voice can insert itself as your default phone interface, and it gets access to the contacts stored on your phone. On the iPhone, it stays a secondary interface and can’t see your local contacts. (You can, however, use Google Sync to sync your phone’s contacts with your Google Account.) When you make an outgoing call, your iPhone confirms you want to do so and shows Google’s routing number rather than the one you’re really calling–kind of confusing. And while the interface for wrangling messages is a vast improvement on the rudimentary one in the old Web-based Google Voice, it still send you out of Safari and into QuickTime when you want to listen to a message. The Lumix ZR3 is an ultra-slim point-and-shoot with an 8x wide-angle Leica lens that starts at 25mm, and HD video recording. The TS2's pricing and release date are, annoyingly, still to be announced. But the camera improves the specs we found lacking in the original, so this could be the best rugged camera out there. It's not as zoomy as the 15x Samsung HZ35w but I'd take a 12x Lumix with Leica optics over a Sammy. Especially since this one Geotags. The 12.1 MP camera starts out at 25mm and zooms up to 12x past that, even in video mode. It also records HD (although res isn't mentioned) in the AVCHD lite format. They made a brief online appearance over the weekend but were promptly yanked off, but now Pentax has made them official—meet the Optio I-10, H90 and E90 cameras. Pentax is one of those camera brands that you never really consider unless you're over a certain age and can remember their glory days, but actually, I've always been pretty pleased with their compacts. They're no Panasonic Lumix, but when all three of the below models come in at under $300 and look very different to the rest of the identikit cameras out there, I think they're worth considering. Until reviews start pouring in, of course. Top of the pile is the I-10 which has a 12.1-megapixel sensor, 5x optical zoom, and can shoot 720p video at 30fps. The LCD screen measures 2.7-inches, and in case you hadn't noticed, there's an inbuilt flash unit and speaker. It'll cost $299.95 when it becomes available next month, and will be in black or pearl white options. That electro-orange '80s model is the H90, and has similar specs to the I-10, but is quite a bit cheaper at $179.95. Of course, you're compromising on the lens, but with all these '80s throwbacks rearing their heads recently, you may prefer style over substance. It also comes in a nice black/white colorway, and silver/white, if that orange is too offensive for your little eyes. The bottom of the pile comes in at $100, and while the zoom isn't as attractive on the E90 as the first two models, at 3x, the 10-megapixel sensor and 2.7-inch LCD are pretty decent, as is the fact that it takes AA batteries. $100 is next to nothing, but the lack of optical stabilization may put you off. There was a third template for another Pentax camera but the image was not downloadable. 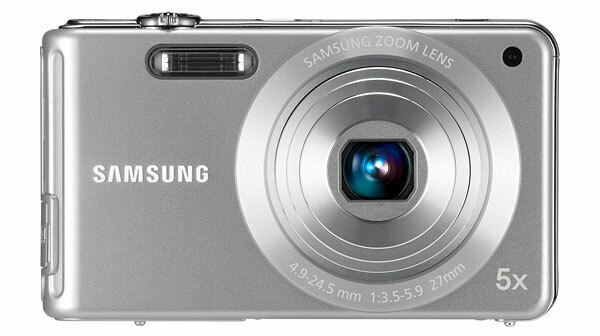 Today, Samsung announced the TL110 and TL105 ultra-slim digital cameras. 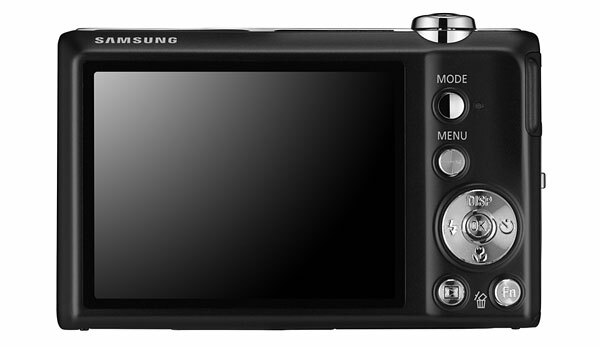 The Samsung TL110 features 14.2 megapixels, a 2.7-inch LCD, 27mm wide-angle lens with 5x optical zoom, Dual Image Stabilization and is 0.65 inches thin. 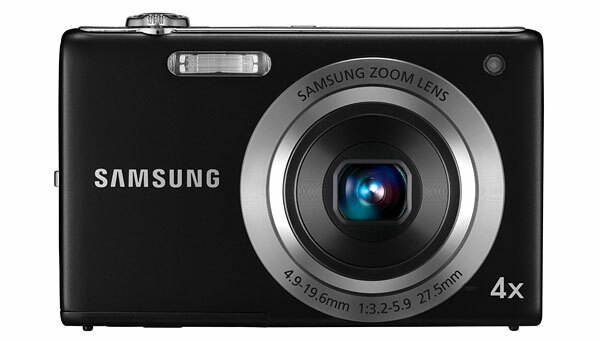 The Samsung TL105 features 12.2 megapixels, a 2.7-inch LCD, 27.5mm wide-angle lens with 4x optical zoom, and Digital Image Stabilization. Both cameras include Smart Auto, Program mode and Scene Modes, as well as creative image effects like Fisheye and Lomo and other photo styles including Normal, Soft, Vivid, Forest, Retro, Cool, Calm, Classic, Negative, Custom RGB and two new options, Sketch and DeFog Clear/Fog Lifting. The TL110 and TL105 also have high-definition video recording with the ability to record video at a resolution of 720p / 30fps, using H.264 compression. 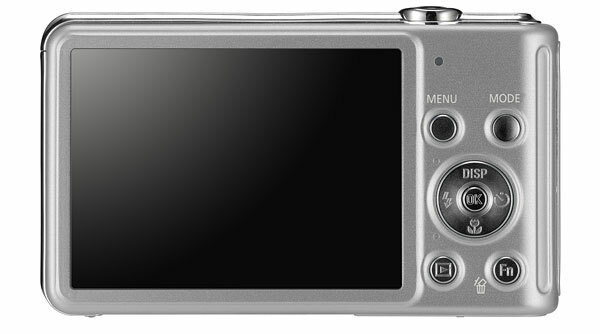 The TL110 and TL105 digital cameras will be availble February 2010. 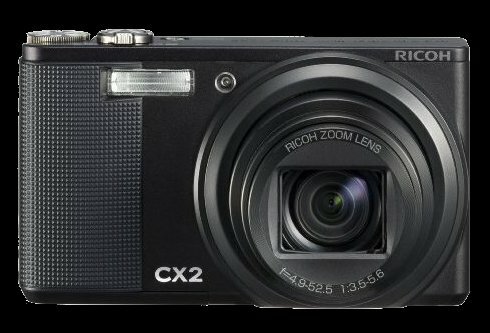 The Ricox CX3 camera will be the replacement of the Ricoh CX2 and it will add HD video capabilities. The price of the CX3 is expected to be around 350€. 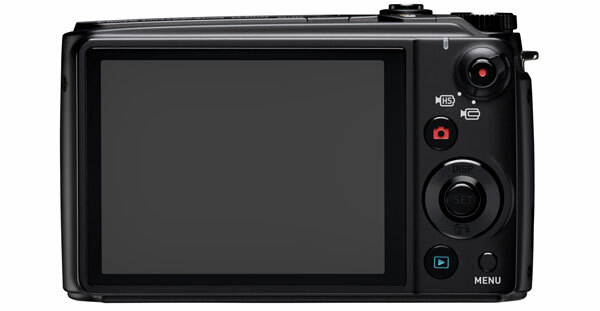 BenQ has announced another pocket camera to its range with the launch of the W1220. Measuring only 18.4mm thick, this slim camera offers a 12-megapixel image sensor, a 28mm wide-angle lens, 5x optical zoom and a 2.7-inch display. Other advanced features include ISO up to 6400, professional-style P/Av/Tv/M aperture, shutter control modes and 720 x 400 video recording (30fps). The BenQ W1220 is now available worldwide. 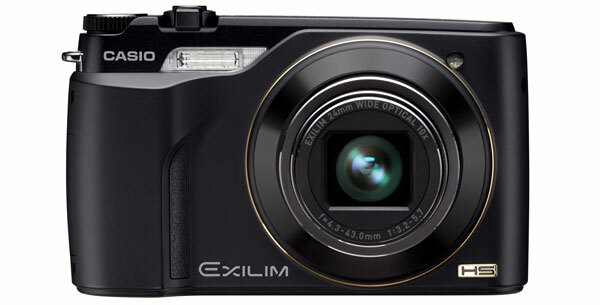 Casio EX-10HG GPS-enabled Compact Digital Camera Concept: "
The Casio Exilim EX-10HG Hybrid GPS digital camera concept has been unveiled at CES 2010. This camera will geotag your photos as you take them, adding location data to your photography. If the camera’s user go out-of-range from a global positioning satellite, the Casio EX-10HG will continue to track and geolocate the user’s position using built-in three-axis accelerometers. Additionally, Casio has also added other travel-standard GPS functionality like maps, a pedometer, a calorie use counter and a total distance traveled meter. 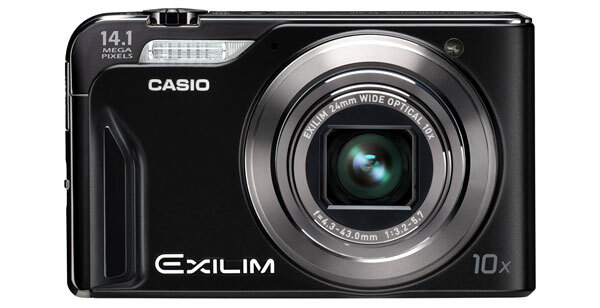 The Casio EX-10HG features a 12.1MP sensor, a 10X zoom lens, 720p video recording, and more. 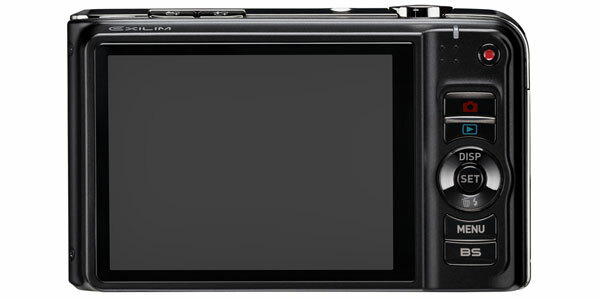 Panasonic has announced a new point-and-shoot camera known as the Lumix DMC-FP3. Coming in three different color options: silver, black and navy blue, this ultra slim camera sports a 14.1-megapixel CCD image sensor, 4x optical zoom, a 3-inch touchscreen LCD display, image stabilization, face detection and HD video recording. Unfortunately, there’s no word on pricing and availability yet. I love Casio slow motion cameras, even if their stills are generally not all that great. 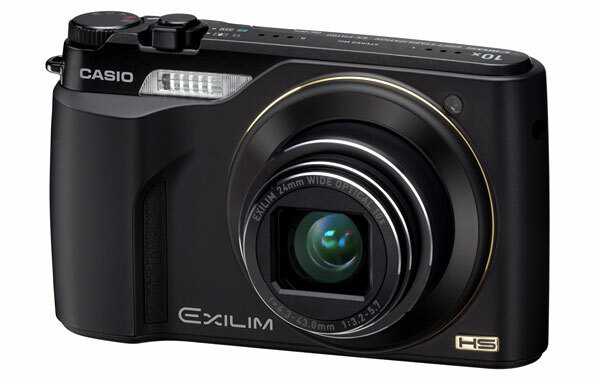 The new EX-FH100 is pocketsized, has a 10x zoom and a new 120frame per second mode that doesn't have low light issues. Love it. Older cameras would be impossible to use at 300FPS indoors, because the grain and exposure would become an issue. A quick test on the floor of CES showed that even zoomed in, the 120FPS mode, benefiting from the highly light sensitive backlit CMOS, did really well. And truthfully, 120FPS is better for sports, etc than 300FPS, in my opinion. The 120FPS mode also has another benefit — 640 x 480 pixel res, which is more usable than the old 300FPS mode's 512 x 384 res. It has modes up to 1000FPS, though. I'm getting one of these, without a doubt. 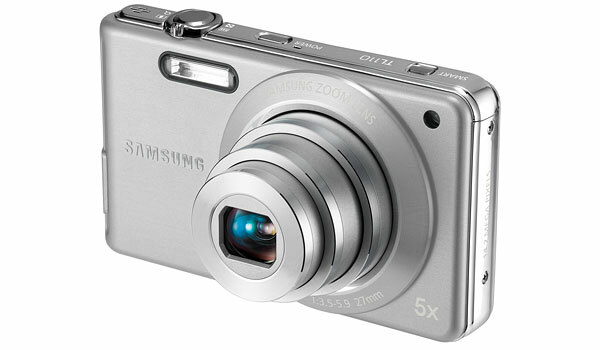 Samsung has added two new digital cameras to its SL series with the introduction of the 12.2-megapixel SL600 (pictured above) and 10.2-megapixel SL50. 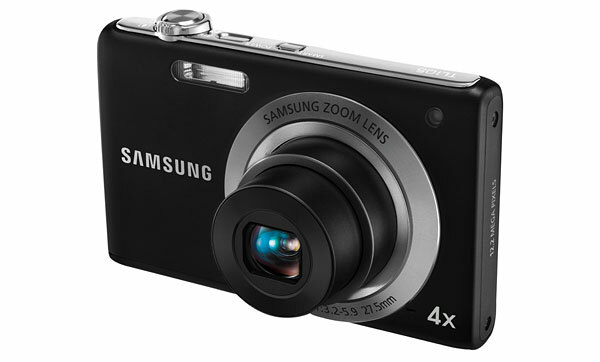 These stylish cameras sports a high-quality 27mm wide-angle Samsung lens with 5x optical zoom, a 2.7-inch 230K LCD (SL600), a 2.5-inch 230K LCD (SL50), digital image stabilization, Smart Auto mode, Samsung’s Perfect Portrait System and the ability to record 640 x 480 video at 30fps. Unfortunately, there’s no word on pricing and release date yet. Sony is back by bringing you their latest pocket HD camcorder known as the Bloggie. This eye-catching video camera is equipped with a 5-megapixel CMOS sensor, a 6-inch LCD screen, a built-in image stabilization, a microSD card slot, a USB port and has the ability to capture both 1280 x 720p/60fps or 1920 x 1080p/30fps video as well as 5-megapixel digital still images. The Sony Bloggie will become available from February 2010 in three different models. Prices will range from $180 to $200. Measuring only 1-inch thick and weighing just 142 grams, the new Xacti VPC-CS1 from Sanyo is claimed as the world’s smallest and lightest Full HD camcorder. This ultraportable pocket camcorder is able to capture both 1920 x 1080p Full HD video in MPEG-4 AVC / H.264 format as well as 8-megapixel digital still images. Not to mention, the device also sports a 10x zoom to a 38-mm wide angle lens, a built-in image stabilization, Face Recognition, a mini HDMI port and supports both Eye-Fi and SDXC memory cards. The Xacti VPC-CS1 will start shipping in February for an MSRP of $299.99.